Whether you’re looking to handle business on the road or log receipts for a big project, scanner apps let you bid adieu to the nuisance of bulky all-in-one printers or dedicated scanners. Even better, some of these apps help put your scanned documents to use, mark up images, and make it easier for you to share scans via emails or on social media. Keep your documents safe on the cloud for future use. 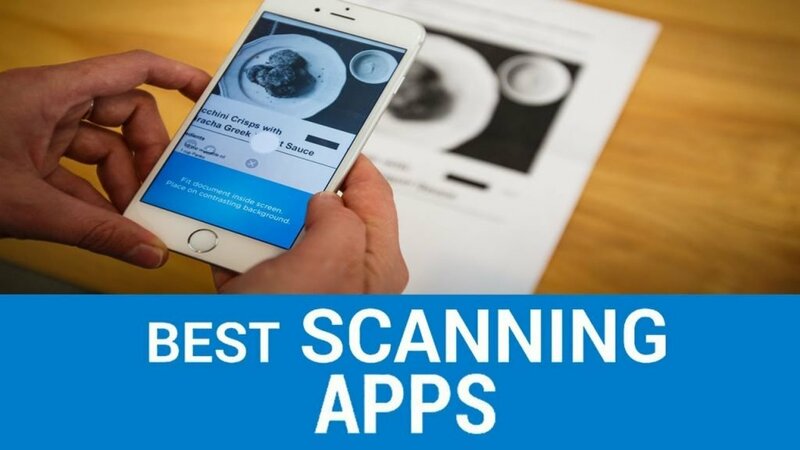 So, alleviate your reliance on paper, save trees, and go digital with the best document scanning apps of 2019. While we are about to see a plethora of Document scanner apps emerge in 2019, we focus on CamScanner here; one of the highest rated Android document scanner Apps of the year, touting over 350 million downloads. Did you know that you could turn your phone into a full-fledge scanner? Be it a business card, whiteboard discussion, invoice, a note, receipt or any other document, scan it to your phone’s gallery in a matter of seconds. The app’s Optical Character Recognition feature helps you extract text from images and an internal optimization tool makes sure that all the graphics and text are sharp and clear enough to appear legible, with premium colors and resolutions. The app lets you print any scanned documents via AirPrint if you have a printer at hand and share them as .JPEG or .PDF. The app also allows you to make annotations on documents with a full set of editing tools. Not to mention, adding customized watermarks are available to mark your own documents. Wish that you could carry your scanner on the go in your pocket? Genius Scan is a powerful mobile scanning app for scanning documents, having said to have digitized over half a billion documents since its inception. The intuitive app turns your paper-based documents into PDF files and JPG. Its limelight features include image enhancement, perspective correction, smart page detection. Using patch scanning, dozens of pages can be digitized within seconds. Not only does the app enhances the readability of documents, all the scanned pages can be organized using a search function, tags, and titles. The cropping feature is particularly useful as it can help you crop out the background of any other old picture and make it look like any other scan. No photo editing talk is ever complete without Adobe apps popping up in between. As such, Adobe Scan allows users to capture and scan all your physical documents and view it in an easy-to-use and simple UI, with an ability to share as PDF or images. Adobe Scan automatically enhances your photos automatically, recognizes text (using OCR), optimizes sharpness, and automatically detects borders to ensure the highest quality. Not to mention, you can edit PDF directly and convert it to a Microsoft Office file. Adobe Scan is probably all the more popular due to its close integration with Adobe’s other apps, not least Adobe Fill & Sign and Adobe Acrobat. This means in addition to scanning documents into PDF format, you can also sign, annotate, edit and work collaboratively with the scanned documents. While this document scanning app also touts all the wonderful features we talked about above, it turns your phone into a document scanner with a host of other value-added features, such as multiple editing tools to heighten legibility, print scanned documents via Cloud Print, and exporting your documents into PDF files. What helps set this app apart from other apps is that it is available free of cost and allows you to scan as many documents as you want without having to pay a dime. This spectacular document scanning app truly lives up to its name; It focuses on scanning your documents clearly with a host of value-added features such as the ability to email specific pages, text extraction images using OCR, sharing scanned documents through myriad cloud storages, printing documents via Cloud Print, flexible editing tools, high quality, perspective correction, and automatic edge detection. The page size for various PDF files can also be modified. What makes this app truly a gem is the smallest space it takes in your phone, like its not there at all! While this app is the latest addition to the scanner app market, it is already garnering a bevy of satisfied followers with a 4.75-star rating and over 290,000 reviews on Google Play. The app gives you password protection, image editing, faxing, and cloud storage integration at the fraction of the price of other apps. Instead of confusing the users with endless menus, you can get great looking results with a few simple sliders. Hone your scanning abilities with a free version of the app, through it allows a few free scans before instigating you to upgrade to a paid version, which offers more export options when creating PDFs, better image optimization options, and improves scan quality. However, what this app makes for in terms of features, it lags behind in post-processing. Whereas most apps automatically adapt settings, you need to manually tweak the settings each time before scanning a document, to most out of the app.